If there's ever an opportunity to feature the work of Milanese designers Dimore Studio, I'll take it. As seen in my book The New Art Deco, this recent project in Paris is an exercise in how to insert the fun into glam. 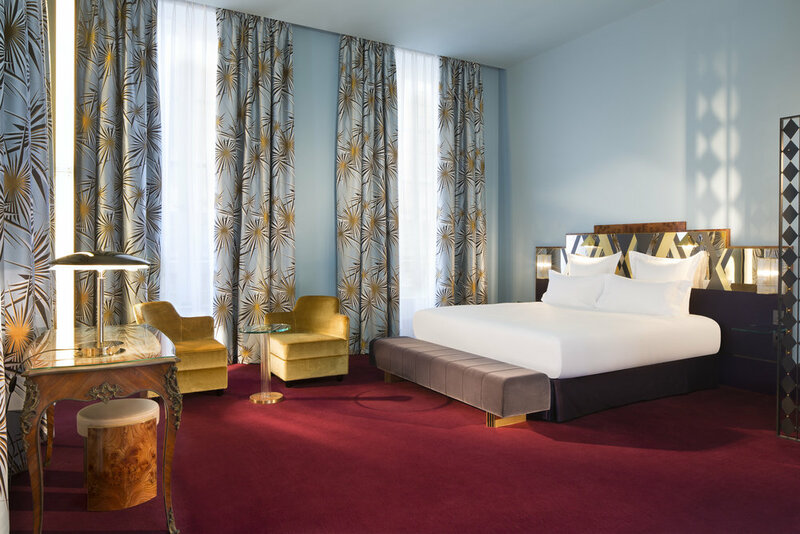 Soft and curvy velvets, palm-print carpets and column lights - all of these elements give the Hotel Saint-Marc a distinctly Deco edge - with more than a touch of disco. Photography by Christophe Bielsa and Philippe Servent.